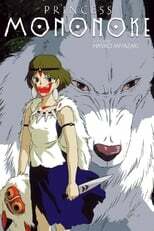 Both sides have evilness and both sides have goodness and Miyazaki creates a main character that doesn't really judge, but rather helps to solve the conflict, although he's constantly repressed by his curse. This and Akira were the two anime films that scared me away from the genre and after being scared back in by Spirited Away , I can't say my thoughts on this one have changed since my last viewing more than a year ago. Though about half way through the movie when everything is going right , it begins to turn into some horribly cheesy message about animals and humans befriending each other and sharing the world.